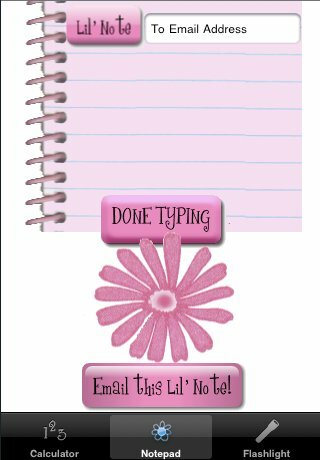 Pinky Office iPhone Application - Yummy and Yummy, LLC. 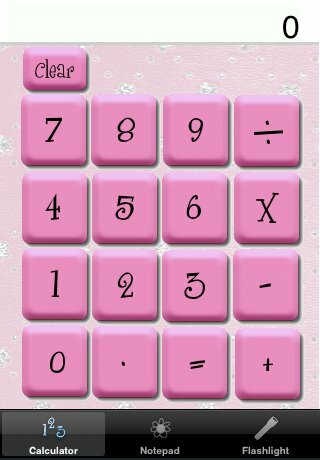 This adorable application features a sparkly pink calculator for quick and easy computation on the go. This updated version showcases several cute backgrounds that pink lovers will adore. Just shake and a new calculator background appears! The lil' note features a pink memo pad perfect for to-do lists, notes to self, or whatever! With a touch of a button, e-mail your text anywhere! PLUS for iPhone 4/4S/5 and iPad 2 we made your flashlight even brighter. The flower details make this cute office accessory a must-have. Best of all - Updates are FREE! Pinky Office works OFFLINE and does not take up much space on your device. We are very interested in continually enhancing this application. We value your reviews and e-mails so please keep them coming!